Why We Read Fantasy: Is There a Secret Ingredient? For years, perhaps since the earliest fantasy criticism, authors and critics have touted the element of ‘wonder’ as being central to fantasy, and to some extent, science fiction. We’re often told that it’s why we’re drawn to the genre, that it’s this particular intangible, magical feeling of awe that we are seeking when we dive into Middle Earth, linger in the corridors of Hogwarts, or encounter the many worlds and peoples of Star Trek. Tolkien spoke of “a quality of strangeness and wonder” when describing fantasy. Brian Attebery saw fantasy as a game to be played, where the reward for accepting the rules wholeheartedly was an “occasional sense of unexpected beauty and strangeness” that he labelled wonder. One critic, C.N. Manlove, even tied his definition of the genre to the concept, describing fantasy as “a fiction evoking wonder”. The fairy-tales that often inspire fantasy have themselves been referred to as ‘wonder tales’. But is wonder really so important? A longing to believe in destiny and fate, and the power of myth and legend. I won’t go on, but there are many reasons why people read fantasy, and many critics, authors and readers have written about those reasons. Yet the desire to experience wonder appears to hold a special, cherished place, rivalled perhaps only by escapism. Why exactly is that? A cynical part of me says that it’s because wonder sounds good. Because fantasy-lovers can bandy it about without it having any of the critical associations that words like ‘escapism’ and ‘medieval’ and ‘nostalgia’ can evoke. And perhaps to some extent that’s true. Recently, however, I’ve been thinking there’s more to it than that. I think I may have been devaluing wonder, simply because I had misunderstood, or forgotten, exactly what it meant. As with all definitions, that’s quite abstract, but I’ll anchor it to something more real. In the past when I thought of ‘wonder’, I pictured a child stumbling into a grove of fairies, gazing in pure wonderment at all the pretty little winged folk. As someone who has read (and watched) dozens of fantasy stories, this concept doesn’t feel so thrilling. I’ve seen fairies. Vampires. Werewolves. Magicians. Angels. Dragons. Witches. Ghosts. Demons. In fiction, things like this aren’t unexpected. Or unfamiliar. Or inexplicable. Yes, their inherent unreal-ness always holds a certain fascination, and maybe I feel a little admiration and surprise if they’re done differently. Ultimately, however, I’m spending more time waiting to see what those fairies are going to do than I am sitting around being awed by them. But perhaps this is looking at wonder from the wrong end of the spectrum… forgetting what wonder can feel like at its most potent. Pure wonder—the intense, shocking, delightful feeling of being completely awed by something—is remarkable. It took the latest book I was reading to remind me of this. I was recently preparing dinner while listening to an audio book: Dan Simmons’s Hyperion, a science fiction novel. While I was chopping vegetables and doing other mundane things, a particular storyline reached its apex, and a jaw-dropping truth was revealed. I won’t give away any key points, but suffice to say, when the mystery of what happened to the priest, and the secret of the strange alien tribe he had been researching, was finally revealed, it left me wide-eyed and a little bit speechless. It was a feeling I can describe as nothing short of wonder, and it lasted long after I’d finished cooking dinner. This moment had me reconsidering my casual dismissal of this sensation. 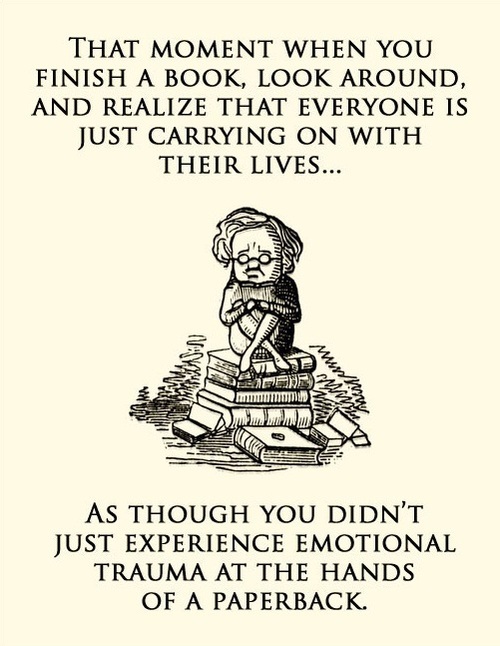 It reminded me of other times I have felt something like it—reading the final chapter of Ender’s Game, for example, or the end of Rosa and the Veil of Gold. Or even back when I saw movies like The Sixth Sense or Source Code or Moon for the first time. It’s an amazing feeling, and one that isn’t quick to fade. It’s the kind of feeling that leaves a whole room of people sitting in silence at the end of a movie, or hanging on the final words of a book, so stunned that for a moment, no one can speak. The most tortuous thing about it is it’s a very difficult feeling to articulate or express, especially if you’re trying to explain it to someone who hasn’t just experienced it. But is wonder exclusive to fantasy? If you look at the list I wrote earlier, you’ll notice that those experiences and desires aren’t exclusive to fantasy or science fiction. Nor are they guaranteed in these genres. You could experience many of those things while reading other stories… perhaps not as frequently, but it is possible. Similarly, fantasy and science fiction don’t have a monopoly on wonder. Other stories might evoke a similar feeling. I know there are certain non-fantasy TV shows that regularly leave me feeling gob-smacked and full of admiration, even though there were no supernatural elements involved (Alias, Sherlock, House of Cards... just to name a few). Yet the particular brand of wonder that fantasy and science fiction offer… not just the surprise and awe and delight, but the eerie feeling like another world has just been opened up, like your mind is boggled by the new possibilities and the very notions and concepts that are being thrown at you. That, I don’t think you can get in many other places. I’m not sure everyone has the same reaction to wonder. I’d hazard a guess that many people don’t respond to it or crave it the same way I do, simply from seeing how my reactions differ to those of others. Perhaps I’m a wonder-junkie, and this is one of the attributes that fuels my fantasy addiction. Still, I don’t doubt we all feel wonder, and enough fantasy-readers have described the feeling that there’s clearly something to it. So is wonder the reason we read fantasy? I think it’s one of the reasons. To claim it’s the only one would be dismissive of the many other emotions and enjoyments the genre has to offer. I would argue it is, however, one of the more important, and the more unique experiences the genre can offer us. In its milder forms, yes, perhaps it’s easy to overlook. Yet if you manage to find that certain book or film, the one that leaves you stunned and amazed, that keeps you up late at night turning it all over in your mind… that’s a feeling that will keep many people, particularly us wonder-junkies, coming back for more. ← On Pesky Childhood Influences: Are Your Ideas Really Yours? Glad you appreciate the wonderful moments in Hyperion Nicola. I really enjoyed the priest’s tale as well, and probably had the same wonder-filled reaction as you, although I’ve read it so many times I’m not sure when that was. Perhaps every time I read it! Hyperion really does have so many of these moments! Thanks for recommending it. I didn’t think anything could top the priest’s tale, but every part I’ve read since then has boggled my mind in some new way. Am up to the scholar’s tale now (with the little girl). It’s enthralling! The way I would summarize it, wonder is the feeling we get when we realize we are in the presence of something greater than ourselves. That could be many different things: the alien race, the world itself, the big web surrounding the clever twist the we just saw for the first time; or even … someone’s great heart. Often it’s several of these at once, and the way they interleave so perfectly together. That explains why it stays with us. It is greater than we are, so it takes our minds time to “see” it and our hearts time to grasp it and just to sit in its presence. I have gotten that gobsmacked feeling, besides from fantasy, from a sci-fi story when I was in awe of the unexpected way the heroine solved the problem, and from a mystery, when the thing that left me gobsmacked were the vast reaches of sad inner life that the criminal had had all along, which no one guessed at. But my favorite kind of wonder happens when all of sudden, as we walk through the story we are walking inside a myth. Besides LOTR (the obvious case), this also happens at the end of Watership Down. It’s also why I like The Dark Is Rising series. And, by the way, C.S. Lewis has argued that Jesus’s life was like that: He was living real life and myth at the same time. I have a poem to post but I’ll post it in a separate comment. the Bronx, Montmarte, or Bethnal Green? Wow, what a great poem – very evocative and also fascinating to see him expressing what he loves (and does not love) when it comes to science fiction. He’s definitely calling for that feeling of wonder and newness. Thanks for sharing it! I think you’re right that there’s a strong aspect to wonder of experiencing something that feels greater or grander than ourselves, whether it be through glimpsing a new world or a new way of thinking. And that sense of walking in myth is definitely a great one, I love it too – like being part of history in the making, and somewhere beyond the every day and the commonplace. Weird. I just posted a long comment before the poem. The poem is up, but the previous comment isn’t. Hope it surfaces. I just checked and for some reason it got caught up in the spam filter – it’s back now though.